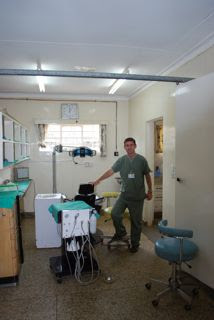 I'm not sure if after 6 months in Kenya we had shared a picture of the Maternity Ward and the Dental Clinic. Here we are in our respective places. The Maternity Ward is dedicated to Edna Boroff. 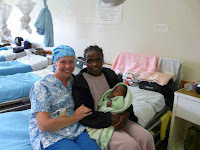 Edna was a legendary Nurse Midwife who served humbly at Tenwek for over 30 years. I think it was estimated that she had delivered over 10, 000 babies. Edna was responsible for overturning a long standing tragic Kipsigis tradition. If a Kipsigis mother had triplets it was considered bad luck, and the last of the three was left to die. She took these children in as orphans and through prayer and love was able to eliminate this horrific practice. 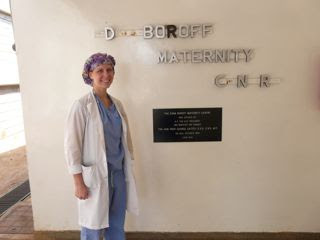 Sara spends much of her time (when not operating) in the maternity clinic. I believe Tenwek maternity delivers over 20 babies daily. They have multiple wards with well over 100 beds. (I get lost if I am there--and just ask for Doctorie Sara!) With over 100 preterm, post-term, and active labor patients and families it is always a spectacle of sites and sounds! I think the patients enjoy sleeping, eating, laboring, and feeding together! 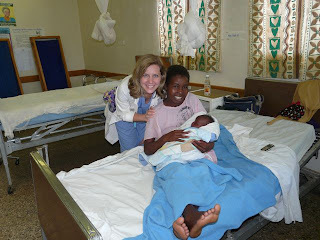 Tenwek also has a Maternal Child Health Clinic to encourage healthy prenatal habits and well baby checks. This is Tenwek Dental Clinic. We have two dental chairs- the one I am standing by is where I spend most of my time. We do similar dentistry you would find back in the States including fillings, crowns, dentures, Root Canals, extractions, and x-rays. We have a small dental lab, x-ray room, second operatory, front office, and office/chai room. We see about 20 patients per day. It is a mix of meeting urgent care needs of patients in pain and giving ongoing dental care to much of the staff and community near Tenwek. Thank you to all who take the time to read our blog. We enjoy writing about our experiences. Also, thank you to all who have left comments. It's always fun to read them and encouraging. People often express thanks here with small gifts. Some of the interesting things we've received are necklaces, bracelets, eggs, cards, avocados, and pineapples. (I dare someone out there to bring 20 eggs to their gynecologist for performing their wife's hysterectomy.) Receiving thanks feels good and encourages us to keep going. It is not the reason we do our work, but thanks does help motivate when the work is hard, long, or arduous. And so, the last time I led devotions for the interns, I talked about Hebrews 10:22-25, "He always keeps his word. Let's see how inventive we can be in encouraging love and helping out, not avoiding worship together as some do but spurring each other on, especially as we see the big day approaching." Are those extra teeth by the tongue? 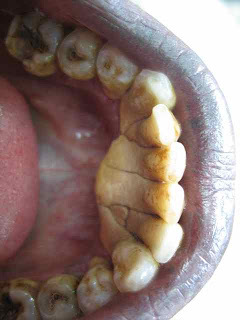 Although we do see many interesting dental pathologies and problems at Tenwek that I have blogged about previously like Ameloblastoma, mouth stuck open from yawning, and buffalo attack jaw fractures; the majority of our patients fall into two categories. Probably 60% of our patients come in with pain and need a tooth extracted. 30% have gums that bleed and need their teeth cleaned. The final 10% fall into some other category. We are happy to see all patients and strive to treat all with a Christian compassion. It certainly is not glamorous cleaning a patient's teeth who has not seen a dentist in 15 years. You can look at the pictures below if you like (I don't intend to gross anyone out..but hey this is my world!) Cleaning teeth with heavy calculus is appropriately like knocking barnacles off the bottom of an old fishing boat that has been docked for years. But I have no choice but to put on my eye shield, mask, gown, gloves, and go to work. 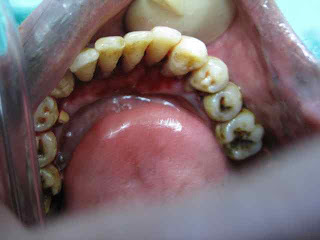 This patient (you can see the before and after picture) was not at all aware his teeth needed to be cleaned. He had not seen a dentist in 20 years. As we proceeded to cavitron off all the calculus attached to his lower incisors he commanded us to stop. He thought we were removing part of his teeth with the ultrasonic shaking and water spray of the cavitron . We continued after some reassurance. As you can see now he has gums that are exposed to light for the first time in decades. Sometimes its easy to want to quit as a dentist or call in for some help! Often times I doing many things I would rarely do as a dentist back in the United States including taking x-rays, filing, scheduling, and cleaning teeth. Regardless, I was encouraged by a family practice physician who reiterated; just think how much pain is relieved at your dental clinic. Happy Memorial Day. Hope many of you are enjoying picnics. Remembering back to last year we had gone camping with friends and were attacked on the trip by lake flies. This year only mosquitos, cockroaches, ants, geckos and lizards to bother us! 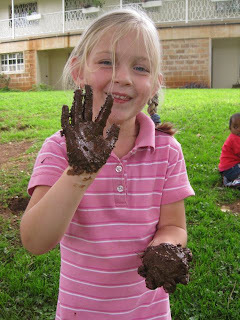 We have 3 more weeks at Tenwek and then move to Kijabe. It is very bitter sweet to think of leaving Tenwek. 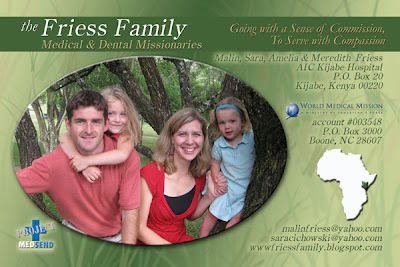 Things we look forward to are a wonderful school for Amelia, larger dental clinic for Malin, and new people to meet. Still, we know God will provide for our family no matter where we are located. I couldn't download the bigger version of this video. So, the titles are not readable, but hopefully most of the pictures and video speaks for itself. It was created for my parents as they went back to Oak Harbor, WA to share with one of the 3 main churches that support us, First Reformed of Oak Harbor. Exhaustion tends to sneak-up on me. And yet, as I look back on being in Kenyan the past 6 months I shouldn't be surprised. The number are something like this: 62 nights on call, 12 maternal deaths (one my last time on-call), over 250 c-sections, and too many babies who don't live from prematurity, prolonged labor, anomalies, and delayed presentation to the hospital. Malin and I spent a lot of the past three weeks talking about how to balance the overwhelming needs of the hospital and our family's needs. 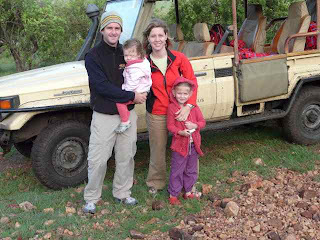 In three weeks we move to Kijabe, and I see it as a time to start over trying to be part time. And would appreciate prayer for wisdom in making this happen. Tentatively I plan to reduce to 3.5 days per week and ask that my call frequency be no more than 5-6 per month. The hard part about doing this is I know it means others have to work harder so I can work less. On the other hand, I won't be able to keep up what I've been doing for much longer. Well it's always an adventure going to immigration. Mostly just a really long wait... but we are legal in Kenya for the next 2 years. The girls received their reward for sitting mostly quietly during the process... icecream. I couldn't resist some either. It's very good news to have this in our passports. 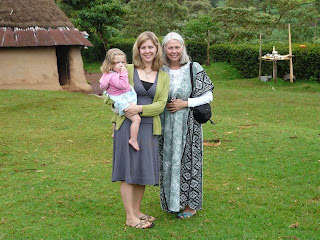 At the beginning of March Sara and I began learning the language most commonly spoken throughout Kenya; Kiswahilli. We are taking 5 hours of language training per week with our (Malimu) Jacken. We have both individual lessons and couple lessons where we attempt to converse with each other as if we were at the market, church, or talking about our day. We have been told by other missionaries that language training of any moment on the mission field was the most difficult. Learning Kiswahilli as a couple presents its own unique dynamics. If you have ever been in a class with your spouse you know what I am talking about. Sara and I learn at different paces (Sara a little quicker), memorize differently (Malin learns the more obscure words), and pronounce words differently (Kenyans have said Sara speaks Swahilli as if she is Kenyan). It really gets interesting when Sara corrects me, or I correct her. Let’s just say as we learn Swahilli we also learn conflict resolution, compromise, and communication. Sara can say, “We we ni ngonjuwa wapi?” Where are you sick? “Kupongezi- Mschinana” Congratulations, It’s a girl. “Nina Mimba?” Are you pregant? Malin can say, “Fungua Mdomo.” Open your mouth. “Kudunga Sindano.” Giving you a shot. “toa ulimi.” Stick out your tongue. We wish we were learning faster as our lessons will be completed at the end of this month. Patients so appreciate the limited swahilli we speak and now it is enough for Sara to manage on the Wards and myself in the dental clinic without tying up a nurse to help with translation. 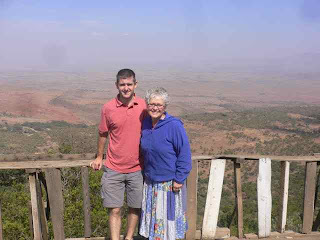 We have learned a favorite Kenyan proverb that seems appropriate to our language training the phrase, “Haraca, Haraca, Heina Baraca.” It translates, hurry, hurry their are no blessings. Meredith came down with a droopy, swollen, pink, weeping eye yesterday that she constantly rubbed with her pink Blankee to make her feel better. Unfortunatly our favorite Opthamologist (Papa) was not available. Meredith and Sara walked up to Tenwek to see Dr. Ben our Opthamologist at Tenwek. Dr. Ben and Sara and a couple stabilizing Meredith were able to get "the Caterpillar" out of her eye by swabbing underneath the eyelids. 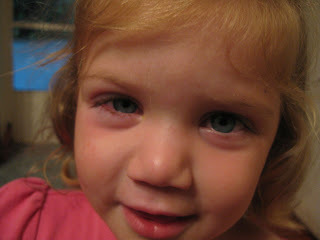 She was diagnosed with corneal abrasion and placed on antibiotic eye drops. I think she is fine..she just looks a little pathetic. 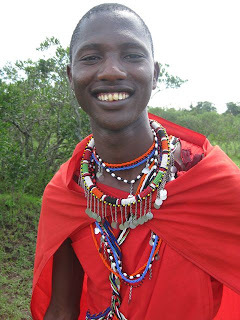 On not being a "town coward"
Many of the traditions of the Massai tribe are beginning to change. One of the traditions that I still see in many of my Massai patients is the absence of their two lower central incisors (#24, #25). At age seven Massai kids are taken by their parents and a knife is placed between their lower teeth and twisted (much like a screwdriver) until the teeth are removed. If you refuse you are called a coward. This tradition I am told was originated by the Massai because of the prevalence of Tetanus.. As you know one of the cardinal symptoms of tetanus is the locking of the jaws together and inability to open the mouth. 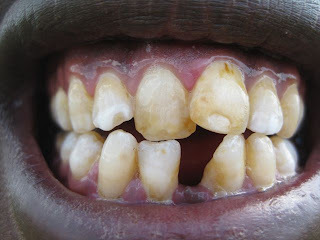 If a Massai developed Tetanus he or she could still feed by the gap left on the lower jaw from the extracted teeth. This boy had accepted this tribal tradition. Many we have met refused. They are called Cowards..and some are excluded from the tribe (although this tradition is dying). At 16 years old a Massai is expected to walk into the Bush and not return for 6 months. He shall come back in 6 months and after he has killed a lion. Although this tradition is fading away too (thanks to Game Park regulations) it is still occasionally accomplished. Our drivers a Massai, refused going out into the Bush for 6 months and ran away to the city. He told us he was not only called a coward, but also a town coward. Thank-you to all the mothers in our lives. We love you! This news item was posted in Countries, Flights category and has 0 Comments so far. Delta Air Lines will start direct commercial flights between the United States and Kenya via Dakar in Senegal from June 2, 2009. Delta Air Lines’ planned direct service between Nairobi, the capital of Kenya and the country’s largest city, and Atlanta in the United States will operate four times a week – on Monday, Wednesday, Friday and Sunday. The flight will use a Boeing 767-300ER plane with up to 216 seats. Delta Air Lines was initially expected to start flights from the United States to Kenya in the middle of 2008, which was put off to December 8, 2008, and then finally to June 2009. The new flight – from Hartsfield-Jackson Atlanta International Airport in Atlanta, the United States, to Kenya – would be the only direct service to the US from Kenya, Bobby Bryan, Delta Air Lines’ commercial manager for West and East Africa, said in the statement. Bryan indicated that the new US-Kenya flight would provide connections between Kenya and Senegal via Nairobi, where passengers can make use of several connections to other cities in East Africa like Mombassa, Kigali, Entebbe and Dar es Salaam, operated by Kenya Airways, a partner of the SkyTeam airline alliance. Delta Air Lines has started promoting the United States-Kenya flights by announcing a special introductory fare of US $ 1,789, inclusive of all taxes. However, this fare will only be available on the internet, the airline said. Other airlines operating in the market charge about US $ 2,000 for a flight to the United States. Thankfully Malin's been keeping our blog the past couple weeks. Since my parents left one week the business of work has been pretty tiring. And I realize I really miss having other colleagues to discuss interesting/challenging cases with. Sometimes I just want the assurance that I'm doing the right thing. For example, most babies under 30 weeks don't survive here. So when a mother arrived with ruptured membranes for 4 weeks at 27 weeks in breech presentation rather than do a C/S (which would be the standard of care in the States) I discussed with her a vaginal delivery that would probably lead to a stillbirth. The baby actually came out crying, but died subsequently in the NICU. And I do believe this was the right decision. However, we're taught in medical school and residency to have evidence to back-up and make our decisions. But most of the statistical evidence just isn't here about preterm birth survival. So a lot of my decision making is based on what I've experienced and I hope that the more I experience the easier and less stressful these decisions will become. 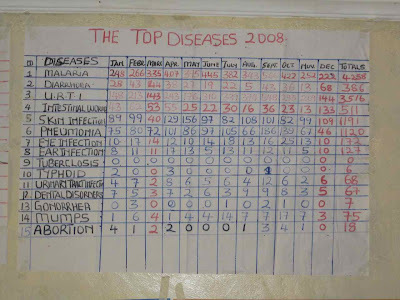 This chart came from a rural dispensary clinic about 20 km from Tenwek called Kiptuwa. There health care providers record these statistics yearly and are able to compare incidence rates. Futhermore, they are able to determine whether public preventative health outreaches such as bed nets to prevent malaria, child vaccinations, prenatal care, and dietary counseling are working. Myself and the dental outreach team visited this clinic. I found it interesting that dental disorders was included as number 12...but not surprised as we extracted many teeth that day. As Sara and I walked up the hill to the hospital after lunch to return to our respective clinic we found Pastor Muchoka coming our direction. "Hello Pastor," you look very sharp today. Pastor Muchoka is our pastor at Bethesda African Gospel Church. He is an impassioned Christian who comes across natural and genuine at the pulpit. He also plays the Bass Guitar by ear. Pastor Muchoka was wearing pin-stripe pants and bright blue shirt. "Thank-you... and you (referring to Sara and I) look like you are increasing," Pastor Muchoka said, as he gestured pushing his shoulders out and bringing them into his to neck to give a larger appearance. Swimming lessons in Kenya involve the bathtub--as the nearest swimming pool is at least 80 kilometers from Tenwek. 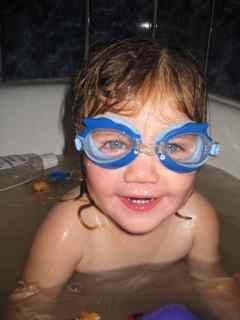 Meredith prefers the goggles to keep the soap out of her eyes. I'll admit this is somewhat of a gratuitous picture of our daughter...but it is cute! We are called to preach a message where we live, where we work, where we study, where we play, and where we worship. The message we desperately all need to hear; despite our sin, God still loves us and desires to bring us closer to him. It struck me today that our concerns in Kenya are no different than that of the Christian Community throughout the world. Sure we have buffalo attacks, Massai mothers who labor for days at home, and we drive 180 miles to get groceries. But we have friends, patients, missionaries in our midst that are hurting. You know who these people are or you may be in need right now. They are the recently unemployed, the parents with wayward children, the elderly who are physically hurting, the single parents who are emotionally exhausted, the professional who has it all together but is spiritually empty, or the outgoing friend who is inwardly lonely. As you are welcoming the birds, flowers, and sunny warm days back after perhaps after a long winter. We at Tenwek are in the midst of the rainy season. 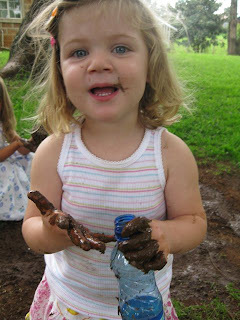 We asked many Kenyans, when does the rainy season start? "When it starts to rain," was the best answer we got. We can now verify the rainy season has begun. We get afternoon and evening showers daily..of what seems like many inches each day. It is a blessing in Kenya as now Water Tanks for drinking are full and crops like Corn and Tea are growing quickly. There is plenty of water going over the dam to provide hydroelectric power for our house and hospital. 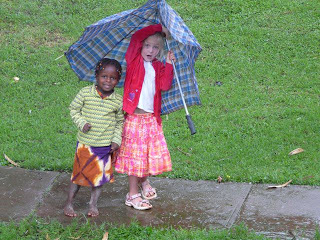 We experience some of the other aspects of rain. Our family got stuck three times in a vehicle on the way back from Lunch at Faith's house, our shoes track mud into the hospital and house, and our basement flooded briefly. I'm kind of hesitant to show Amelia here with an umbrella. I'd like to think we are Northwesterns at heart; No umbrellas, just jackets with hoods. Nana & Papa left with many tears this morning. Meredith repeated, " I wanna go to Nana's House." We were blessed and encouraged by their visit. This is their second time in Kenya in less than 6 months (their previous visit coincided with out departure in November). At that time they were at Christian Lighthouse. 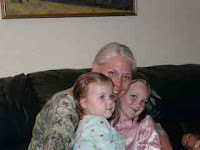 This time we (mostly the grandkids) were able to persuade them to visit Tenwek. Tenwek Hospital welcomed their service. Papa of course worked in the Eye Clinic and was able to give Dr. Ben Roberts the full time Opthamologist a much needed break. 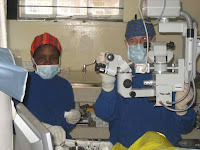 He provided 3 weeks of clinical and surgical care to patients at Tenwek. The Eye Clinic was happy to have "Dr. Mark...he very good at the cataract." (Cichowski is a bit difficult for the Kenyans to pronounce). Nana helped out in the Neonatal Unit, rotated with Sara in the Theatre, and gave vaccinations for children and did prenatal screenings in Tenwek's Outreach clinics. Dental, Eye, and OB benefited from the 7 action packers full of opthamological and dental supplies they brought. At home the Meredith & Amelia were entertained with many games of Pop-Beads, reading books, coloring, & Uno with Nana & Papa. We will miss them greatly. 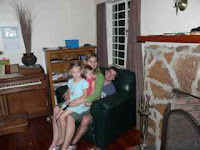 Certainly the biggest sacrifice of being a missionary families is the goodbyes! It always strikes me how resourceful the Kenyan culture is. Nothing is thrown away. Anything and everything can be used for some purpose. These boys greeted us on a hike nearby Tenwek. 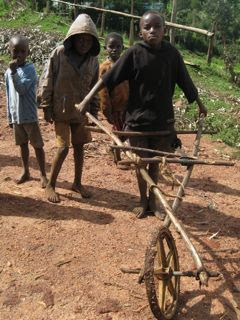 I'm not sure what they planned to carry in the Wheelbarrow, but they were rightfully proud of their tool.